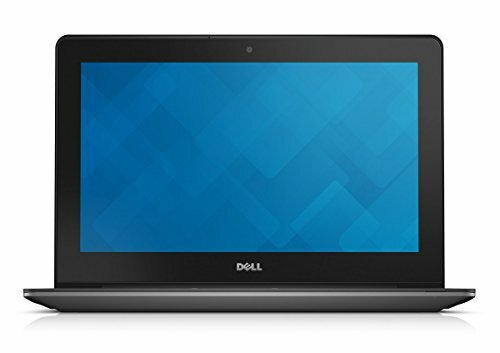 Chromebook or not Chromebook? For a lot of non-techy people, Chromebooks are a bit like UFO’s - weird and cheap laptops with only a 16gb hard drive and not compatible with any PC programmes. Yes Chromebooks are different and unique. 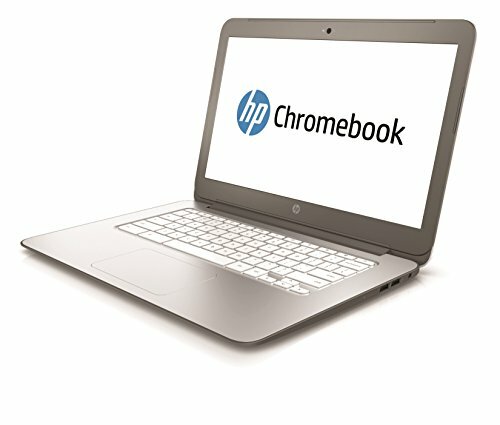 I wrote reviews about 2 of the best selling Chromebooks (Samsung ARM and HP14) and I wrote a long post about my life with a Chromebook. Today I want to help you to understand what you can and can’t do with a Chromebook. So here are my 10 reasons (in no particular order) WHY you should buy a Chromebook...and 2 of why you shouldn’t! 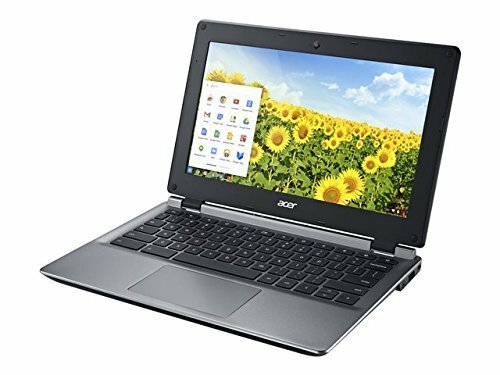 A Chromebook laptop is cheap. For the price of an Apple laptop you can buy 4-6 Chromebooks. That’s a huge difference. If you are a Windows user for the price of a good W8 laptop you can buy 2-3 Chromebooks. Instead of buying a MacBook pro..you can buy a laptop for each member of your family! If like me you hate the setup part (especially with windows), you will love a Chromebook. Process is really simple: push the ON button, after 5 seconds you will be asked to introduce your Google/gmail account + password and voila! Done. With a Chromebook, the best browser in the world (Chrome) becomes your best partner. Everything happens within the browser. On the left side you will see a little square icon, click on it and you will see all the apps you have installed. Go to the Chrome store, browse the apps and download the one you want. A few seconds later it will appear as a new app. It’s so simple. And on the right side you have the clock, wifi sign and battery level. Click on the bar and you open the settings. Again, extremely simple. You can’t go wrong. Life is already too complicated..so Chromebooks make your computer life easier, much easier. I don’t know what I hate the most: virus or anti virus. But for sure one of the best features is that life is better without virus and anti virus. Your new computer life is suddenly so much healthier! Living in the cloud is a bit magical. Everything you do with your Chromebook (docs, pictures etc…) is saved to Google Cloud. Don’t be afraid if you have closed the doc app without saving, because Google does it for you. And when you buy a Chromebook, you get 100GB free Google Cloud storage. That’s a lot of of storage! 6. Stop paying a Microsoft licence. One of the beauty’s of a Chromebook is that suddenly you will realise that there is life without Microsoft Office. Google Docs works perfectly fine and I am sure that it has enough features for 90-95% of Office users. So, you save money on your Microsoft Office and you don’t lose any features. No wonder why more and more schools are joining the Chromebook revolution. I absolutely love this app. Each time you take a photo with your smartphone or tablet it is uploaded to the cloud and each file will magically appear in Google + Photos. Then Google can surprise you with the autoawesome features. That’s a very great function. I often use the Auto Awesome Videos and it’s just amazing. I really loved last year during the last week of December, Google send me a video of my highlights with all my pictures of 2013. Nice touch, really nice. 8. Youtube-Netflix-Hulu: A Chromebook is great for multimedia. I love watching Youtube, Netflix and HULU on my HP Chromebook 14. It works perfectly fine. Speakers are very good too, so it is really enjoyable. And most of the Chromebooks have HDMI, so you can plug it to your TV and enjoy on the bigger screen. Have you got 1000’s of DRM free music on your iTunes library? No problem, it’s easy to upload to the cloud and enjoy all your music on your Google Play Music. In fact, you can access all your music from your Chromebook, tablet and smartphone with Google Play music app. Really easy and the I’m Feeling Lucky mix is great. If you are scared of being alone with your Chromebook you are wrong. The Chromebook community is buzzing, fun and great. They are there to help. There are huge communities on Google + and plenty of websites dedicated to Chromebook. You won’t feel lonely believe me. I really love and enjoy it! You can asked them anything and they will help you. That’s my 10 best reasons why you SHOULD buy a Chromebook. Of course for other users there are more important things, and that’s ok because there are much more than 10 reasons. And I will finish with 2 reasons why you shouldn’t buy a Chromebook because the last thing I want is for you to be disappointed (you won’t, but we never know!). 1. Don’t buy a Chromebook if: you are a heavy iTunes user and need iTunes to sync your iPod, iPhone, iPad, or if you have already subscribed and paid for entire seasons of your favourite series on iTunes. iTunes is not available on Chromebook. Maybe in the future Apple will launch a cloud based iTunes service, but for now it is not. If you can’t imagine your life without iTunes..don’t buy a Chromebook. 2. Don’t buy a Chromebook if: you are Sheldon Cooper and play heavy games on your laptop. Why? Chromebook is not good at this, so keep your Dell Alien laptop or whatever you have. And it’s not a Bazinga! I hope you liked this post and hope it will help you with your future purchase. Feel free to comment and share!